Freshman goalie Conner Jensen blocks a goal against Cal Baptist University Sept. 21. The American River College men’s water polo team hosted California Baptist University on Sept. 21 for a match that the Beavers lost 16-13. The offensive presence was consistent for both teams most of the game, trading goals at each end of the pool. Neither team pulled away by more than one point until the fourth quarter when CBU junior Jordan Zeigler scored the go ahead point on American River College goalie Conner Jensen. The Beavers were balanced on offense having goals scored by five different players. Sophomore center Santiago Rodriguez led the team with five goals in the match. Freshmen Casey Aubert, Brandt Takahashi, Pedro Moraes and sophomore Scott Stirling all contributed two goals. “They’re a hard working group of guys who are pleasant to work with,” Head Coach Erick Black said. The Beavers gave up three power plays in the game after Pedro Moraes had back-to-back 20-second ejections followed by Casey Aubert who received a penalty in the fourth quarter. Freshman William Walling, who scored seven goals in the match, led Cal Baptist University’s offensive charge. The Beavers are currently 4-6 on the season. Their conference record is 1-0 after beating Modesto Junior College in their division opener 16-14. “We’ve had a tough early season schedule, but it’s going to help prepare the team for our conference,” Black said. 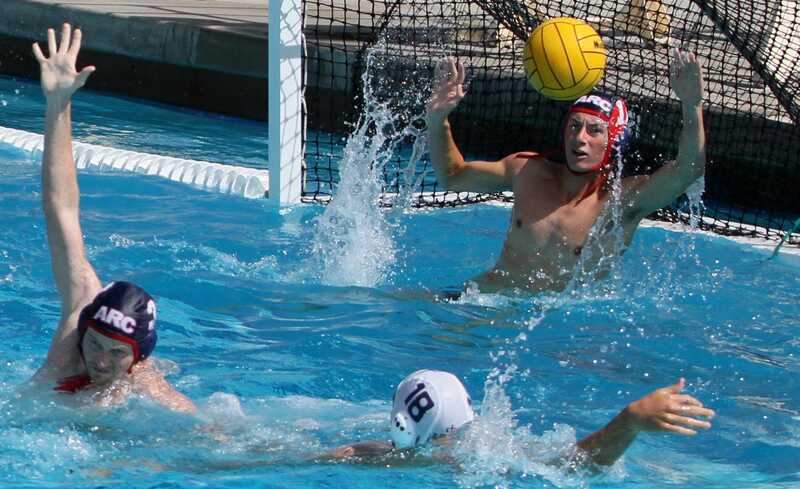 The men’s water polo team will be hosting the ARC tournament Friday, Oct. 6 and Saturday, Oct. 7. Be the first to comment on "Cal Baptist University beats Beavers in men’s water polo 16-13"